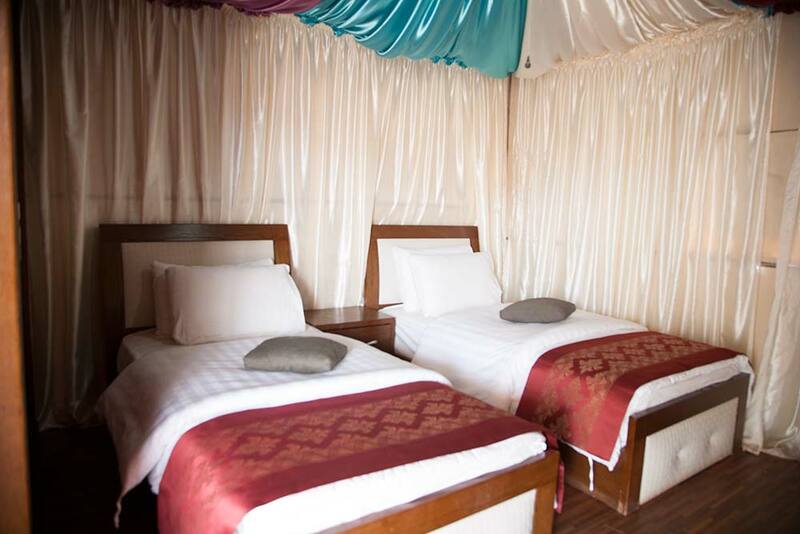 Experience authentic Bedouin living at this alluring desert camp situated within the borders of the vast and beautiful Wadi Rum. Set in the heart of the desert, Sun City Camp is an intimate property in the midst of endless space and incredible views. 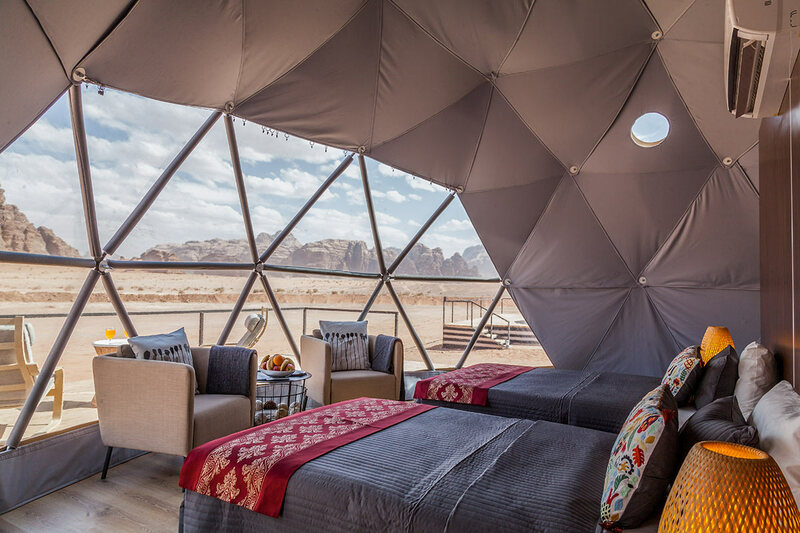 Scattered across the sand are a selection of traditional tents, family suites and signature Martian Domes, all with private bathrooms, fans, hot water, seating areas and terraces. 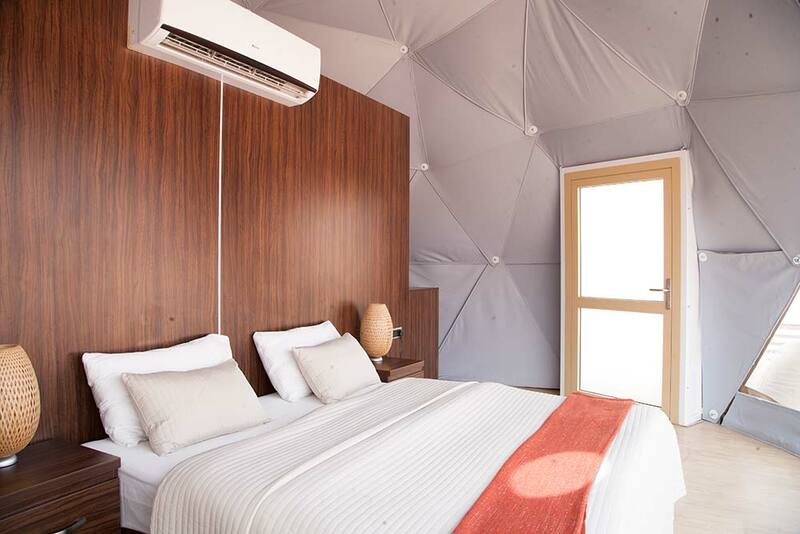 The camp’s unique geodesic domes are particularly impressive, complete with panoramic windows that allow you to drink in the star-studded night sky from the comfort of your own bed. 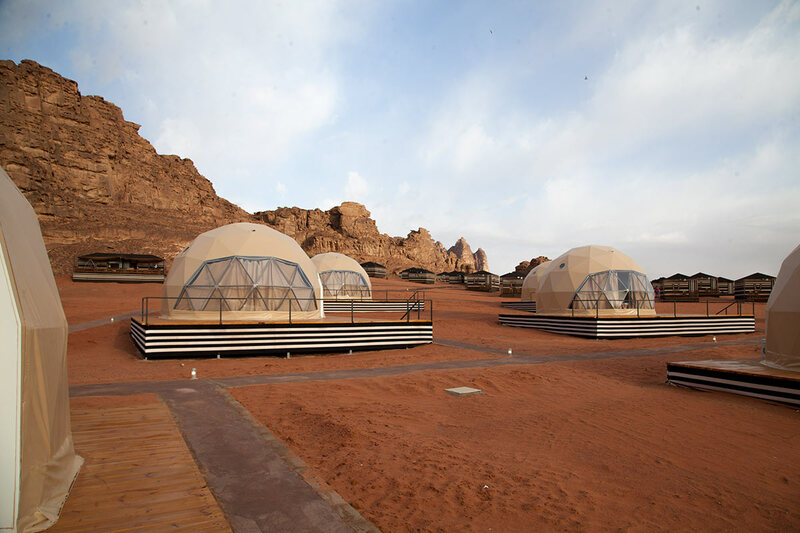 Whether you want to fill your days with adventure or relaxation, the camp has activities catered to all inclinations and is perfectly placed for exploring the gems of the Wadi Rum desert. Take your pick from exhilarating jeep excursions across the dunes, traditional camel rides, hot air ballooning and hiking tours to discover the smaller details of the desert. The Wadi Rum is also known for its exceptionally clear skies providing superb stargazing opportunities.